Michael Max Dorf, a month or so before. Who would have ever thought there could be a controversy around grief? In the last few months, in my other (non-writing) life as a therapist, I have heard the devastating stories of several people seriously traumatized by their past contacts with the mental health system, people with a lasting legacy of pain from being (probably wrongly) prescribed powerful psychiatric drugs or placed against their will on a terrifying psych ward. I’m definitely not a conspiracy theorist, one who says things like “everything happens for a reason,” or assigns existential “meaning” to every happening, and so I’m sure it’s pure coincidence that I’ve heard so many stories like this lately. I obviously recognize that many dedicated people in the field are doing work that manages to be both life-saving and compassionate, yet these awful stories also underscore the need for folks setting the parameters in the field–the task force considering changes in the upcoming edition of the “bible” for clinicians, the Diagnostic and Statistical Manual (so-called “DSM V) to the various “diagnoses” around grief–to at least try to get it right. It seems to me that those of us working in the field who are honored every day to do this work, to witness people’s deepest pain, have a duty to at least speak out when it appears that a grave and possibly for some folks dangerous injustice is being contemplated. Partly because of the experience I mention above, and partly as a response to a wonderful “Open Letter to to the DSM Task Force” posted by Dr. Joanne Cacciatore on her own website (which I’m linking to here) , I’d like to add my own voice to all those professionals and offended bereaved people weighing in on this disturbing and upsetting controversy. 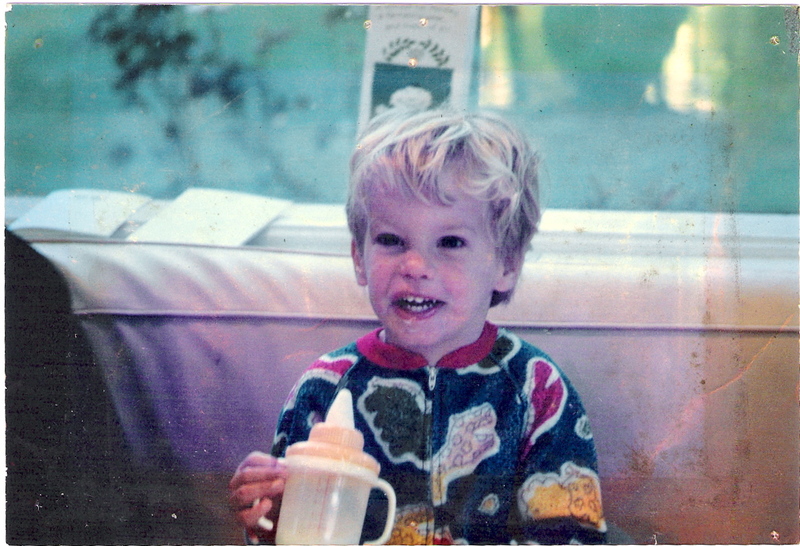 As readers of this blog surely know, I too lost lost a child, my son, Michael, who died in 1994, and I’ve been living with, and thinking, studying, and writing about grief ever since. (Let me assure the reader that I’ve also done lots of other things, including recover my sense of humor.) My writing inspired by this includes a highly acclaimed novel, “Saving Elijah,” published by Putnam in June, 2000. After that I (eventually) went back to grad school to get a second masters degree in social work, mostly in order to work with the bereaved, even though I already knew from experience what one bereaved human being needs from another human being. More recently I’ve been working on a kind of memoir, which I’m calling, “Excerpts: Complicated Grief.” Included in the memoir is a recounting of the day I first heard in grad school that we were to label grief that lasts longer than two months (now according to all accounts of the upcoming DSM V apparently further reduced to two weeks) as pathology, call it “complicated,” call it a “disorder.” Even twelve years after my son’s death, this felt like an accusation. How could it not? How could they not see that this is damaging to the very people it purports to “help?” It was as if feeling the terrible sorrow I had felt, sometimes even still felt (still sometimes feel now), wasn’t “normal.” Yet I knew full well that it was “normal,” both from my own experience and from talking to scores, even hundreds of other bereaved parents. I’ve written the memoir in the second person, and it moves backward from the present to the day of the loss, in an attempt to show how grief can (while still being “normal”) reverberate throughout every corridor of a life, sometimes louder, sometimes softer, sometimes as a source of wisdom, sometimes as source of pain or anxiety, but always present. It opens on what would have been my son’s 21st birthday. October 22, 2011, seventeen years after. Stand at the dryer, slap in wet clothes, try to form an image of a strapping young man turning twenty-one today. See only a sturdy toddler. Like a failed magic trick. Go to the cemetery, brush away leaves, place stones on the brass and marble marker. Stand in the thick, humid air. Say Kaddish, forget the last part. Try to remember Michael but conjure up only bones in a tomb, shreds of boy and turtle, earthworms, fecund soil. Say the word fecund aloud, the hard k sound rattling the teeth. Remember your husband falling into the grave. Wonder why you come. Get back into your car pursing your lips as if tasting something moldy. Think of old metaphors, new similes. Grief always comes alone to a child’s grave. Grief is no longer a thundering, hissing monster. Grief is hollow now, like the blunt thud of rock on stone……. The core problem comes in my view from the pathologizing of the normal human emotion of grief by calling it any kind of a disorder. And so whether you call it an “adjustment disorder related to bereavement,” and give it one year before you dial it up into an even more serious “disorder,” or whether it becomes “major depressive disorder” at two months, or at two weeks, seems to me secondary to the fact that it is called a disorder in the first place. A child’s death? At two weeks you’re still in shock. You’re just getting started at two months. Maybe. Actually, it seems to me that it would actually be “abnormal” for a parent who lost a child to not feel overwhelmed and debilitated by sorrow (and to experience many of the attendant symptoms that echo but are not the same as those for depression) at two months out, let alone two weeks out. I would venture to say this is probably true even at one year. I remember visiting a friend of my mother’s who at age 100 was still talking about her fifteen-year-old son’s death in a car accident fifty years before as if it had happened that day. Personally, I would still call hers “normal” grief. And so the learned people figuring out the DSM seem to have had it backwards all along, and now seem to be doubling down on having it backwards. We are pain and what cures pain, both. We are the sweet cold water and the jar that pours. I want to hold you close like a lute, so that we can cry out with loving. Would you rather throw stones at a mirror? I am your mirror and here are the stones. In other words, the healing from the pain is in the pain. So it is. It seems to me that this isn’t only about the pharmaceutical industry, it’s even more about the insurance industry, which seems to be in the business of not paying for whatever it can possibly get out of. (And not just in the area of grief.) In this case the insurance industry seems to want to get out of any paying for anything other than that which has medication as the first line of treatment, and which labels grief a “mental illness,” or a “disorder” of some kind (an outcome that can stay in a person’s record forever, with terrible, terrible consequences). It’s a sickening conundrum, it puts people who want to provide support for the bereaved who seek it in a terrible position, and of course it puts the bereaved in an even worse position. Aren’t we trying to help them? Surely we are. And one of the things we must do to help them is “normalize” what they’re feeling. Yes, I wailed at the top of my lungs in a hospital room, but so would you. As clinicians, we have the “V” bereavement code, but insurance generally doesn’t pay for treatment if you use this as a diagnosis. To receive payment from insurance, it has to be a “disorder.” And so to get insurance to cover our effort to help people make their way through grief, we are actually forced to call it some kind of disorder, even when we know it isn’t. (This is, by the way, actually true for many situations, for example anger management. Insurance won’t pay for people looking for help with “anger issues” unless you slap on a some kind of a “disorder” label. Some, no doubt, will think I’m a hopeless idealist, or a radical left winger for believing that Americans, the “richest” country on earth, ought to provide universal health care that enables people to get the health care they need, no matter what their financial or job situation. I don’t care. I still must speak the truth as I see it. And there simply ought to not only be health care for all, there should be some other terminology that acknowledges the debilitating nature of what I’ve called “big time grief,” and also provides coverage for people to get the proper, compassionate psychological support they need in difficult times. All of us can be hopeful that the outcry from the grief community around this issue will, like the outcry to de-pathologize homosexuality in the 1970s, result in a de-pathologization of grief. From a practical standpoint, under our current disaster of a health insurance system, we are required to diagnose some kind of “disorder” or there is no insurance coverage for clinical services. In the absence of a complete rethinking of the whole system (oh, for such an outcome! ; let’s just hope the misguided politicians won’t succeed in their threat to repeal the so-called “Obamacare” coverage for everyone), we can only hope that whatever happens, good clinicians (and particularly psychiatrists with their ready-meds) recognize that the DSM is at best an imperfect guide, and can tell the difference between grief and either adjustment “disorder,” or major depressive “disorder,” whatever must be recorded as a diagnosis to get coverage. I invite you to share your grief story as a comment.